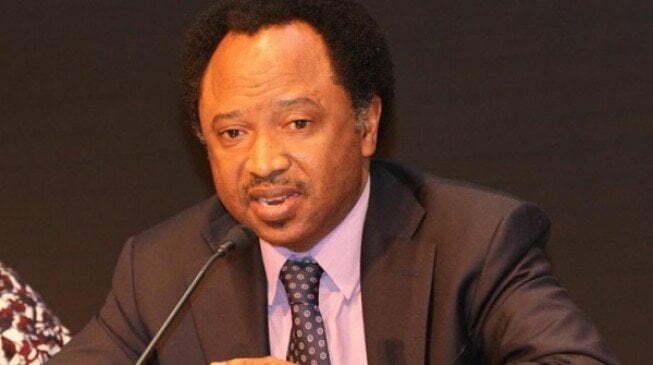 Shehu Sani, the legislator representing the Kaduna Central Senate District in the National Assembly, told President Muhammadu Buhari, at the request of the Democratic People’s Party (PDP), to expose the enormous resources that the country was deriving from sales of oil between 1999 and 2014. Uba Sani, a Progressive Congress candidate, left Kaduna Central in the Senate and said he would support the president’s claim that PDP should inform Nigerians of how the party had squandered $ 592 billion. DAILY POST recalls that Buhari spokesman Femi Adesina said in a statement Thursday that Buhari had received the leadership of the trade union movement to congratulate him on his election victory at the State House in Abuja. The president said that the current government, with a dilapidated infrastructure in 2015, and what he said to power for 16 years, did with the country’s oil revenue, which peaked at during this period. “PDP has failed to explain to the country what he has done with the money,” said President Buhari. “There were no roads, no rail, no electricity, they said they spent $ 16 billion in electricity, but where is the power?” The irresponsible spending of this period was explained. and Nigerians deserve to respond to this terrible mismanagement of the country, “he said. In response, Shehu Sani in a tweet on Thursday called on the PDP to explain to Nigerians how they had squandered $ 592 billion. He wrote: “I support the president’s request that the PDP should explain how he wasted $ 592 trillion.